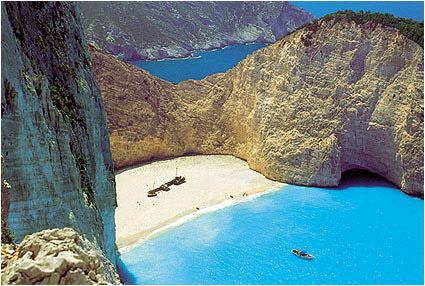 Are you familiar with Zakynthos? Tell others your opinion. Write a review. 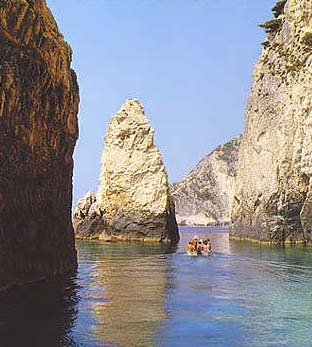 Zakynthos (Zante) is the southernmost and third largest in both size and population of the Ionian Islands. It is situated 8,5 nautical miles south of Zakynthos and 9,5 nautical miles west of the Peloponese and approximately 300 kilometres west of the capital of Greece, Athens. 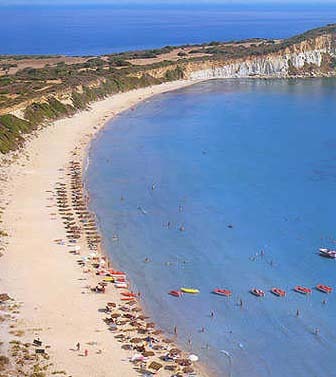 Its geographical position ensures easy travel to the other islands and even the mainland of Greece. A short journey across the Peloponese brings one to the ancient city of Olympia, the birthplace and original venue of the Olympic Games. 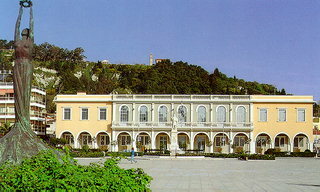 Due to the islands location, it is an ideal base to link up to the larger cities of Greece such as Patras, Athens and Thessaloniki. An island full of contrasts, Zakynthos consists of mainly woodland, with an abundance of pine tree covered mountains and fertile plains. In the north, east and south numerous picturesque beaches can be found, whereas in the west the imposing, rocky landscape has a number of sea caves such as the famous Blue Caves on the north-west of the island. 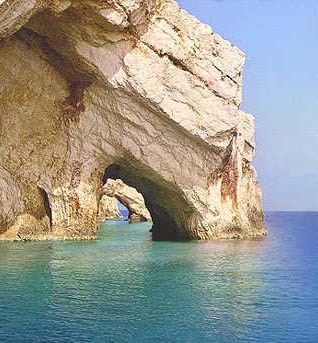 The climate in Zakynthos is mild mediterranean with both heavy rainfall during the winter monthw and brilliant sunshine in the summer. The rich vegetation is probably due to this, and has resulted in the nicknames of Fior di Levante (Flower of the East) and Iliessa (full of woods) by the Venetians and Omiros respectively. It is productive island agriculturally, supported mainly by the cultivation of olives, raisins, citrus fruits. Apart from this, the main source of local income is from the recently developed business of tourism. The island has a wealth of history as for many centuries it was the crossroads for numerous nations and cultures. The rest of the Ionian islands to the North are Kefalonia, Ithaki, Lefkada and Corfu.